Sixpence For Your Shoe: Style I DO on Rue La La! Style I DO on Rue La La! Mark your calendars for this coming Thursday, at 11 am sharp! 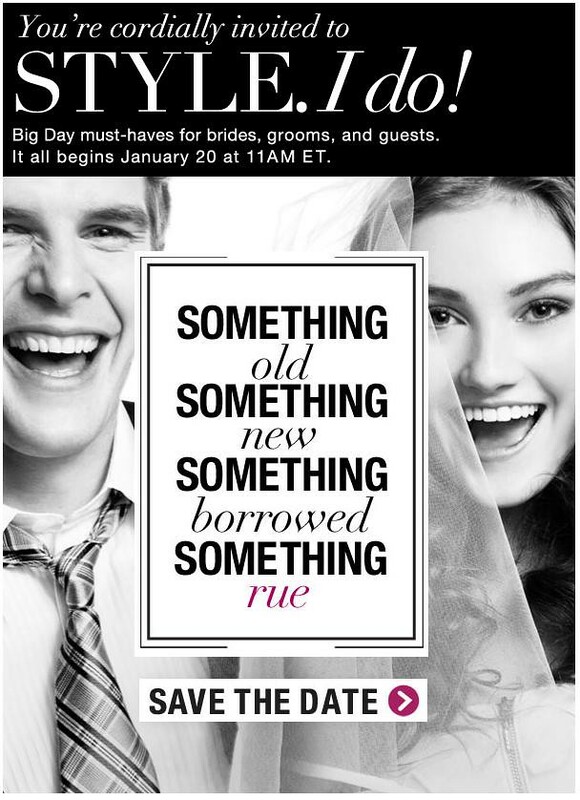 Style I Do returns to Rue La La with loads of must have beautiful things all related to a fabulous wedding! Be sure to check it out!